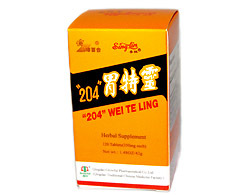 An effective tonic for premature graying, hair loss, hair loss after illness and confinement, thinning of hair. 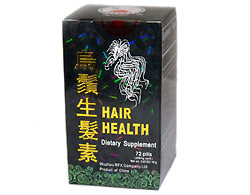 Effective a in promoting essence-energy; and darkens hair. 6 pills three times a day. 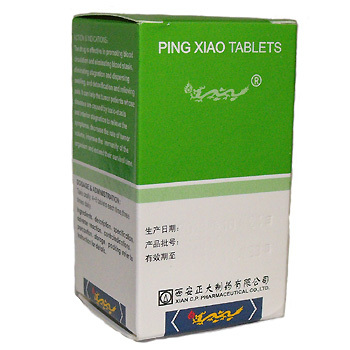 To get best results you should take the pills at least 2 weeks, so we recommend you to purchase 3-4 bottles. Fo-ti (dried root tuber), Astragalus (root), Sesam (seed), Achyranthes (root), Ligustrum (fruit), Japanese dodder, Asian ginseng (root), Reishi (fruiting body), Pearl powder. non medical ingredient corn starch. 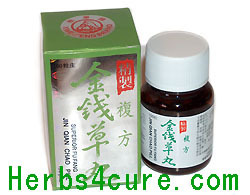 Ping Xiao (Canelim) anti-tumor herbal remedy. 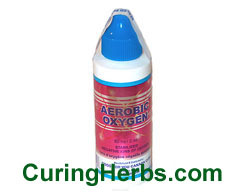 The curative and rejuvenating products from Curing Herbs, are not a substitute for treatment prescribed by your doctor. Nor is the information intended to diagnose or prescribe. 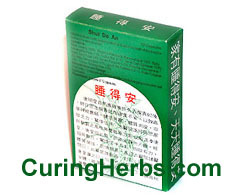 State and Federal Food and Drug laws prohibit representing that herbs, though reported successful in other countries, treat, cure or alleviate any disease. If you have a medical problem, don't hesitate to seek advice from a competent medical practitioner.